I have been seeing tweets and blog posts about how people across the country are starting to feel the effects of fall. Apparently fall is just peaking around the corner for some of you. Me? Not. So. Much. I am still sitting in hell here in Texas with our off the hook (65+ days of over 100 degree) heat. Oh and have I mentioned that I have forgotten what rain looks like? So fall? Not really feeling it over here. What I am feeling, however, is football. Because that is what fall means to me. To some people it means the changing colors of the trees, the cooler temperatures and crisp morning air. Since I have never experienced ANY of that, fall simply means football to me. And the fact that I am from the South and football in the South (and football in Texas) is a very big deal. I went to Texas A&M (WHOOP!) so my obvious college team of choice is the Texas Aggies. 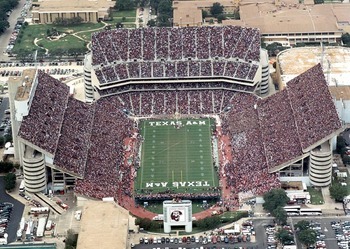 Right now there is major talks going on about Texas A&M leaving our conference, The Big 12, to go to the SEC in 2012. I guess we’ll see how that plays out. Honestly? Not really a college football fan. I mean I watch it but my heart (oh my heart) lies with the NFL. Sundays are days not to ask me to do anything. Sundays are days devoted to cheering, yelling, screaming and everything in-between. Ask Keith. 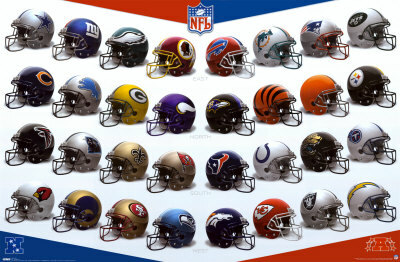 The NFL completes me. And specifically, the Indianapolis Colts. I love that team. A lot. A whole lot. Who is your team of choice? Ahh you poor thing! I can’t imagine it being that hot! I wouldn’t last! Our month of July is usually pretty humid, and that’s all I can take–one month of heat! Not a fan of football but love the idea of it ha ha. I like the tailgating, football sundays, finger foods, crisp weather, and sweatshirts that come along with the sport. But in all honesty, I sit on the couch with my fiance while he watches it and I surf the web…. Oh Laura it is terrible. I am seriously almost over it. Anyone you says Global Warming isn’t a real thing should move to Texas. We honestly have not had a summer this hot in my lifetime. It is pretty miserable. The “winter” clothes here in the stores, just do not understand. 113 here yesterday, broke yet another record, 115 today, why??? I know!! I hate going into stores right now and seeing turtlenecks, wool sweaters and boots. I am like REALLY?! It’s effing 107 degrees outside and you have jackets for sale. I have never understood that. Despite the fact that it is currently in the 60s we’re still climbing up to the 80s today and back to the 90s on Thursday, sigh. I’m really happy the NFL lockout ended, it wouldn’t be fall without football. GO EAGLES! I wish I liked football so, so badly. I try…I really do – it just bores me to tears. My family is from Texas, so I’m basically the black sheep where football is concerned. I (try to) follow the Cowboys and Broncos, but my heart is not really in it. HAHA! Don’t tell anyone at Bama that…you’ll be run of campus! It was really hot here a few weeks ago — thankfully it feels like actual summer now, not Hell! I went to the mall to find some new sandals and they are all on clearance now — the boots and Fall shoes are out already. I love Fall but already? What the heck. I do like football, but I don’t really have a team that I like. Yes I’ll watch the Vikings but to be honest I really don’t cheer for them! YAY FOOTBALL!! We’re college peeps, but I’ll enjoy an NFL game or two. Especially if it’s the Colts or Saints. The other day we were saying how we should go to a Pats game, but agreed we’d only want to go if it were against Indy or NO. Tickets for the Pats vs. Colts game are $170+ each. ARGH!! Maybe I’ll find some money on the side of the road. Or take up stripping. I. HATE. THE. PATRIOTS. (and Tom Brady) ha! I would definitely only go to a Pats game if they were playing The Colts! $170…ouch…that’s steep! I hate watching sports….it bores me to tears unless I have a lot of beer to drink haha…BUT Andy on the other hand is sports crazy…his team is the Cleveland Browns! It’s funny because everyone asks me that. Thankfully, it looks like Peyton is going to retire a Colt. But….with that said if he were to be traded I would definitely root for him wherever he goes. I would want want him to play well even if his team lost. As long as Peyton had a good game I would be happy. I would be a Colts fan regardless. I fell in love with them through their old coach Tony Dungee and then Peyton was an added bonus. ha! I feel like I am going to be a Colts fan for life. saw your comment about liking tempeh over tofu – headed over to your site..
OMG you’re a colts fan. So hard to find it seems!! I am pants-off-dance-off excited for football to be back! I’m an Eagles fan. FLY EAGLES FLY! 😉 I’ll be joining you in the football overload. I love the NFL ticket!!! Best thing ever!!! 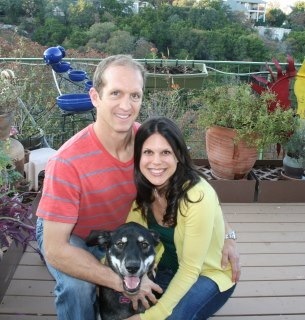 But, while my husband cringes when I say this, I do like Peyton Manning. Fun fact: my wedding photographer did a photo shoot for him before our initial meeting. YAY for a Peyton Manning fan! I’m a big football fan, but I generally stick to NCAA. I cheer for Clemson, but I like watching most ACC or SEC games. I can almost smell the pigskin! Haha- sorry I’m not sorry! Me either- I’m ALL about those Ravens 😀 I’m sure you know that!! CANNOT wait for September 11th!! I was born and bred on Football! SO SO SO EXCITED it’s football time!!!! I kinda have these little excitement sessions EVERY SINGLE DAY!!! I’ve been a MAJORRRR LSU and Saints fan since i was little 🙂 Nothing will ever change that! I do love Peyton though! He is a New Orleans boy!